Renaud Barbier is a seasoned business executive with about 20 years of experience in Banking and Financial Services. His broad expertise is especially recognized in the areas of Asset Management and Private Banking. During the first part of his career he worked as a business consultant and product manager for leaders in the front and middle office solutions market. He then helped banks to design and implement dedicated solutions answering to their needs. Since then he works as a management consultant committed to the Banking and Financial Services industry. Renaud started his professional career with the French Government in 1993 as a Commercial Attaché in Helsinki, being responsible for Telecom and High Technology sectors. In 1996 he started to work in the Banking and Financial Services industry in Luxembourg, first joining Bimaco Finance as a business consultant, then helping Odyssey to become the Portfolio Management Software market leader before joining Misys to define its wealth and asset management European strategy. 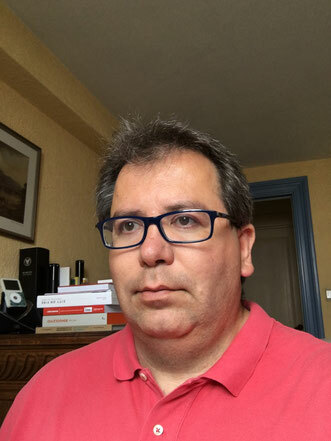 In 2003, Renaud moved to the entrepreneurial world, founding his own management consulting practice and since then worked on various project in Europe. In 2008, Renaud started a second career in recruitment and executive search, participating to the launch of a recruitment boutique in Luxembourg. As an executive search, he brings his banking world knowledge and management competencies to better apprehend clients’ needs. Renaud speaks fluently English and French and is improving on Russian. Based in Luxembourg, he lived and worked in France, Belgium, Finland and Switzerland.